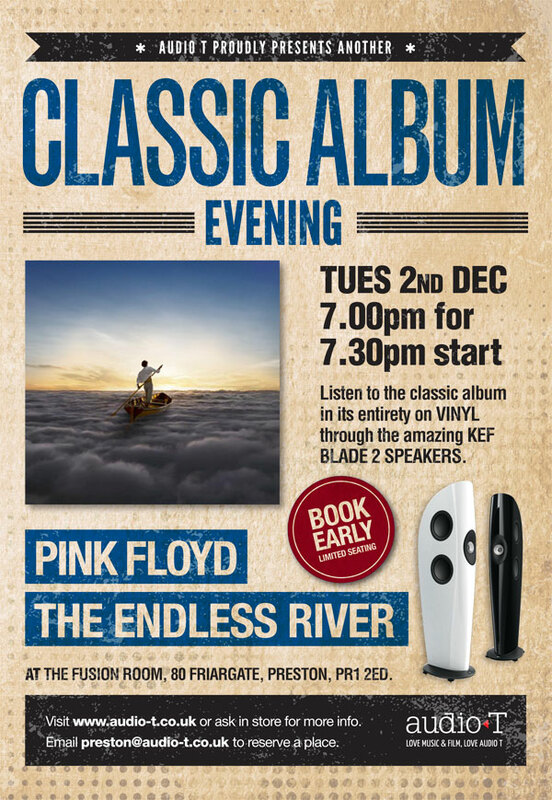 Following the success of our thirteenth Classic Vinyl Evening, we are pleased to announce Classic Vinyl Night number fourteen, featuring Pink Floyd's New Album, The Endless River. The speakers we'll be using are KEF's brand new baby Blade II's. This will be on Tuesday 2nd December and once again will be held at the Fusion Room restaurant, 80 Friargate, Preston, PR1 2ED, at 7pm 7.30 start.